Leigh Community Art Group: Don't Forget! Leigh Community Art group is now closed and our first night in 2014 is January 13th from 6.30 to 8.30. 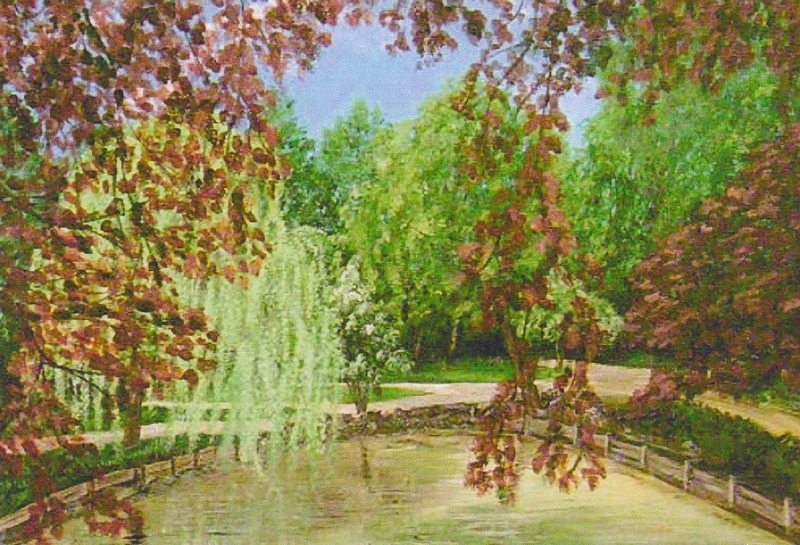 Meanwhile, here is "Dam House Pond & Walkways", an acrylic by B.Gill,one of our club members. Boothstown Will Never be The Same Again!